They say money can’t buy you happiness, which I tend to agree with, but wealth creation can make you about as happy as you would ever care to be! Wealth creation is about making lifestyle choices and consciously deciding on where you want to go in life and who you want to be. It’s more than about making money, it’s about making your life wealthy. Too many people get caught up in the process of making money or chase it as their single purpose. What’s the point in having lots of money if you can’t or simply don’t have time to enjoy it? 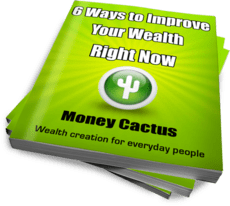 Designing your wealthy life needs to be a conscious effort, just like setting financial goals, you need to set lifestyle goals to develop your overall goals for wealth creation. Much of what you do relies on positive thought. Have you read or heard about the book The Secret? it was pretty big a little while back and got lots of press – Oprah anyone? Don’t click away just yet, I’m not going to get all spiritual on you, but there is a good reasons why people got so into this book. The key to positive thought and developing the right wealth mindset is visualisation. Sports people do it all the time so it must be good! see yourself hitting the ball in the hole, kicking a goal, or winning the race. Apply this to wealth creation and see the lifestyle you want to create. Map it out, find inspiration for what you what to do and how you want to do it. Cut out pictures of the things you want, but can’t afford or write down your goals in big words and put them somewhere you can see them every day. 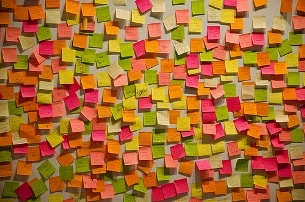 Use sticky notes to write yourself messages and put them all over the place, use an inspirational screen saver, do whatever it takes to keep your goals foremost in your mind as much as possible. There are two really good reason for going to all this effort. The first is because it will make you feel good having a goal that you can see and work towards, the second is to prevent procrastination. Quite possibly the root of all evil! Personal development and lifestyle bloggers write sagas about this bad guy (Zen Habits does it very well) and rightly so, everyone loves doing nothing! In the busy world we live in it is great to just switch off, kick back and unwind. I’m a huge fan! Mindless hours in front of the TV, watching sh#t that really has no positive impact, but provides that precious release. Go for it I say, you deserve it, but just make sure you have earned it first. Unfortunately switching off as soon as you get home from work every night isn’t going to cut it, you need to make time to focus on wealth creation. It doesn’t have to be hard work, just tackle it in bite sized pieces. Make a list and add some rewards to ensure you reach your goals, but think about these also. A good reward is a holiday, short break or other life experience. A bad reward is a uncontrolled shopping splurge, buying sh#t you really don’t need or eating a whole block of chocolate in one sitting (although any of those things are fine in moderation). You don’t want to be rich, be wealthy instead. Rich people worry about the stuff they have and someone taking it away from them. Wealthy people don’t worry about these things, they don’t cling to possessions because it is not the most important aspect of their lives. Finding a way to make your money work for you instead of working for it is a great goal to aim for, but make sure you set goals to create the lifestyle you want as well. If you get this right, you truly will have a wealthy life!